Diet and exercise can help you lose weight, but they often fail to bring you the contoured physique you desire. At Sterling Plastic & Reconstructive Surgery, PA, plastic surgeon Dr. Mark Mathieson offers surgical procedures and lifts to enhance your appearance and self-confidence. To learn how you can benefit, call the office in Sarasota, Florida, or book an appointment online. Abdominoplasty, also called a tummy tuck, helps flatten and reshape your stomach area by removing excess fat and skin while tightening separated or weakened muscles. Women who have excess skin resulting from pregnancy or people who have lost a considerable amount of weight can benefit from the procedure. In some cases, an abdominoplasty may be combined with liposuction to give you the smoothest, most contoured appearance possible. Liposuction is a procedure in which Dr. Mathieson removes fat from specific target areas. The procedure is commonly performed on the abdomen, hips, thighs, and love handles. These areas typically are more resistant to fat loss from traditional methods of diet and exercise. At Sterling Plastic & Reconstructive Surgery, Dr. Mathieson uses the PALⓇ Liposuction System and traditional techniques. Traditional liposuction uses a cannula that’s inserted into a treatment area and a vacuum device to remove excess fat. With PAL, a specialized solution is injected into treatment areas to prepare the fat for removal, and a laser breaks the fat cells apart. Dr. Mathieson may use fat grafting to enhance your contour, especially at your buttocks or breasts. For your breasts, this includes changes that occurred during radiation treatment or other defects in shape or size. During a fat graft, a portion of fat is removed from a trouble area using liposuction. The fat is then injected into the area that you wish to be enhanced. If you’ve lost a considerable amount of weight, sagging skin can still make you feel self-conscious and unhappy with your appearance. The effects of aging can also cause the skin to sag unattractively. Dr. Mathieson offers lifts for your upper arms, breasts, or thighs as well as full body lifts. A lift involves removing excess skin and reshaping the treatment areas to add contour to your physique. In a full body lift, the skin is removed around the entire trunk, which gives you the effects of a tummy tuck, a posterior trunk lift, and lateral thigh contouring. A lift sometimes includes liposuction along with the skin adjustments. 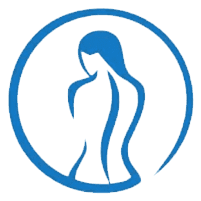 To learn how Dr. Mathieson at Sterling Plastic & Reconstructive Surgery can help you get the body you desire, call the office or schedule a consultation online.